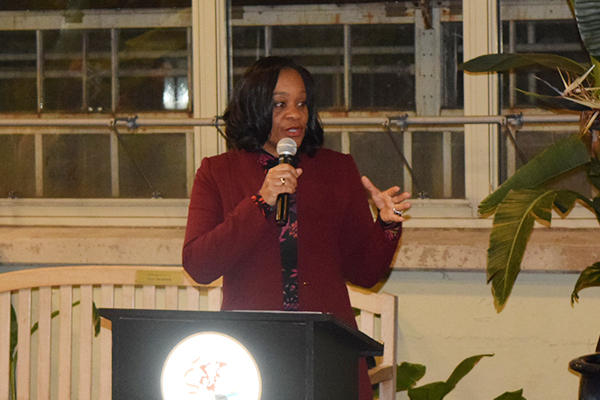 SPRINGFIELD – Minimum-wage earners statewide will see their first pay increase since 2010 under a new law raising the minimum wage to $15 by January 2025 negotiated by Majority Leader Kimberly A. Lightford (D-Maywood). 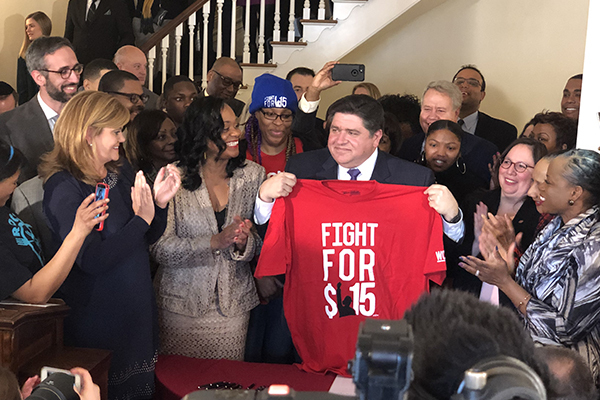 SPRINGFIELD – Minimum-wage earners statewide could soon see a pay increase under a proposal approved by the House on Thursday that raises the minimum wage to $15 by January 2025. 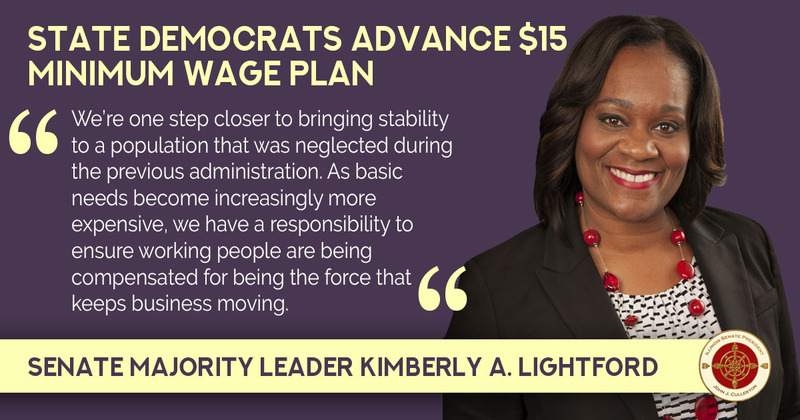 Majority Leader Kimberly A. Lightford (D-Maywood) negotiated the measure that would give hardworking families a much-needed raise. The measure now heads to the governor for final approval. 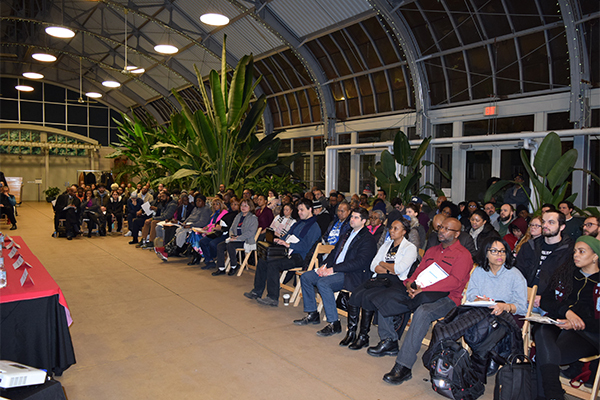 Senate Majority Leader Kimberly A. Lightford (D-Maywood) hosted a Town Hall Discussion on Cannabis Legalization on Monday at the Garfield Park Conservatory. 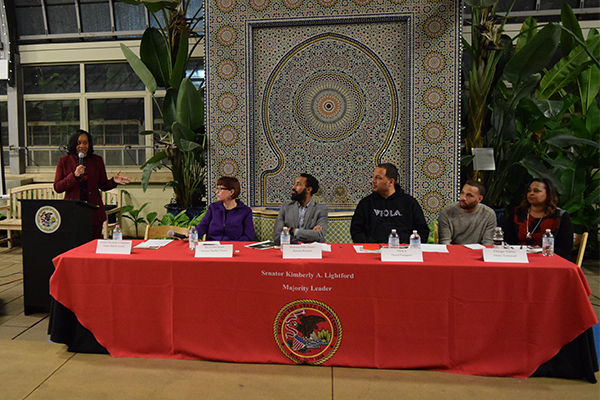 Participants heard from a panel of advocates and experts on the process of legalizing cannabis for recreational use in Illinois. 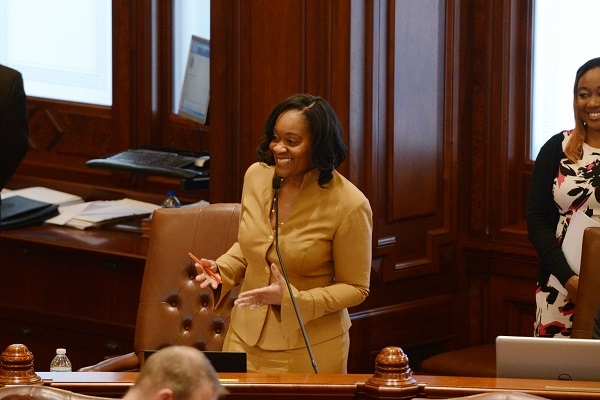 Senator Heather Steans (D-Chicago), sponsor of the current proposal, gave a presentation on the potential financial impact on the state and how some of the revenue could be used to support communities most affected by the war on drugs. Kareem Kenytta from the Marijuana Policy Project joined Steans to speak more deeply on the effect current policy has on social justice in the black community and possible opportunities in the cannabis industry for individuals from historically over-policed communities. Daniel Pettigrew with business group Viola shared his experience with the small business aspect of legalizing cannabis, and Donte Townsend with advocacy group Chicago NORML spoke about access for black businesses and possible issues people could face if they choose to use recreational marijuana once legalized.